COOKEVILLE – Dr. Catherine Jones will highlight Prescott South Elementary and its STEM program as one of the leaders for the 2018-2019 cohort for the Innovative Leaders Institute. 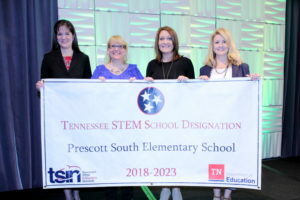 Prescott South Elementary was chosen as the only elementary school to be showcased based on their active partnership with the Tennessee Stem Innovation Network (TSIN) and their receipt of the Tennessee STEM School Designation. 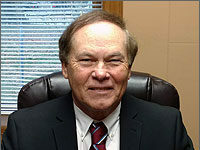 Since TSIN director, Sandy Watkins, has been to Prescott South Elementary School (PSES) campus several times and has interacted with Dr. Jones and her staff through various experiences, it didn’t come as a surprise when Watkins asked PSES to be the sole elementary campus visit. Twenty people from across the state will meet at PSES on Sept. 19 to spend one full day learning from the best practices developed there. 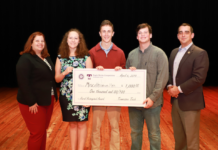 PSES’s focus on STEM was sparked by a 2012 grant for STEM platform campuses. In 2017 PSES applied for the Tennessee STEM School Designation. It was awarded one of only 15 designations state-wide. 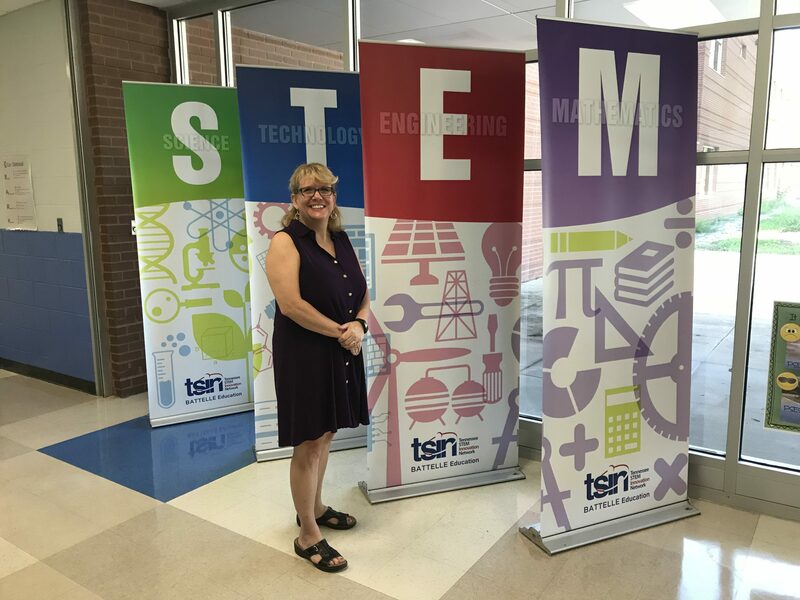 These 15 schools were recognized by the Tennessee Department of Education for their use of STEM teaching and learning strategies and will serve as a model from which other schools may visit and learn. “In my recent research, in just the last five years, the top 10 job skills in demand have changed. That’s just an elementary career when you think K-4. Then you go to middle school and then high school. We’ve got two more changes,” explained Jones. “We’re trying to prepare kids and we don’t know the skills they are going to need when they get out. We’ve got to teach them to be thinkers and problem solvers so that they can take what they have and work with what they have, not memorizing a series of math steps. Since STEM is such a buzzword, what makes PSES’s program different? The answer is in the faculty. PSES partners with local businesses to accomplish this. Children in each grade pick a career focus each year. Local businesses visit the school and share with the students just what that career really involves. No money is involved, just partnerships. This school year the kindergarten class chose architecture, first grade chose agriculture, second grade chose medical/health professions, third grade chose technology and fourth grade chose engineering. PSES remains an active partner with TSIN. 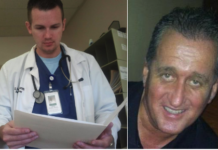 Various activities revolving around the career paths take place throughout the year. PSES hosts career day on Halloween asking students to dress as their chosen career. Curious STEM Inventory night is held the Friday before Thanksgiving each year and in March it is Legos and Literacy. The Innovative Leaders Institute is a year-long professional learning opportunity designed to train highly effective principals, assistant principals, and school leaders to infuse a STEM culture in their school through innovative leadership and instructional strategies.